If you’re in need of a short break to recharge your batteries, or fancy taking time out for some full-on rest and relaxation, our Torquay hotels have just the break for you. Our Autumn breaks offer a great choice of leisure & entertainment, and there's still plenty to see and do out and about. Enjoy the seasonal celebrations when you escape for a well deserved festive break at TLH - festive fun for all ages. TLH gets the party season off to a stylish start in November, and there's a sparkling choice throughout the winter season. Spring comes early on the English Riviera, making this an ideal time for a well-deserved getaway. Plenty to keep kids of all ages amused - the ideal holiday choice to make some great family memories. 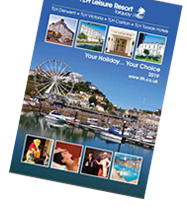 You’ll be spoilt for choice at our Hotels in Torquay with a packed programme of activities, entertainment and leisure. For sheer indulgence & pampering, our Aztec Spa Breaks are just the thing - and all at great value prices. Our Drinks Inclusive Breaks are great value for money with a free bar offering selected drinks each evening 6pm-11pm. One of the leading suppliers for group travel with a great choice of hotels & facilities and an outstanding location. If you haven’t played golf in South Devon before you will be surprised at the tremendous variety of excellent courses. Our bowling holiday website specialises in indoor, outdoor and short mat bowling holidays. If you love to dance or would like to learn to dance, visit our specialist dance holiday website, full of holiday ideas.